POINT ZERO shares similarities with Lost wing at.0, from BeatStream アニムトライヴ. 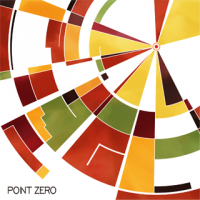 POINT ZERO is the first BEMANI song by Naoyuki Sato under his 猫叉Master+ alias since being torn the sky in beatmania IIDX 17 SIRIUS. According to this 4gamer interview, 猫叉Master+ himself did the notecharts for POINT ZERO. POINT ZERO is one of the bistro saucer 2nd Set unlocks of jubeat saucer. It could be unlocked from November 1st to 30th, 2012. POINT ZERO was removed from jubeat saucer on April 1st, 2013 and it was later revived on May 20th, 2013. It was removed again on September 1st, 2013. It was revived again on November 18th, 2013. In the U.S./EU iTunes version of the beatmania IIDX 20 tricoro ORIGINAL SOUNDTRACK Vol.1 album, POINT ZERO is spelled as Point Zero and the artist name is now credited to Nekomata_Master+. In jukebeat, POINT ZERO's artist was changed to Nekomata-Master, without the plus sign. In the beatmania IIDX 20 tricoro data, POINT ZERO has placeholder data for overlays, which might point that, at some point of development, POINT ZERO was planned to have overlays. POINT ZERO is available in beatmania IIDX INFINITAS as part of the beatmania IIDX INFINITAS 楽曲パック vol.4. This page was last edited on 31 January 2019, at 00:24.